The Courtyard Kennel is a rust-resistant versatile kennel made of galvanized steel that is ideal for pet owners looking for an outdoor dog run or an indoor exercise pen for their pets. It even fits across your double car garage door when in fence mode. This kennel offers a unique design and allows complete versatility in configuration, use and storage. 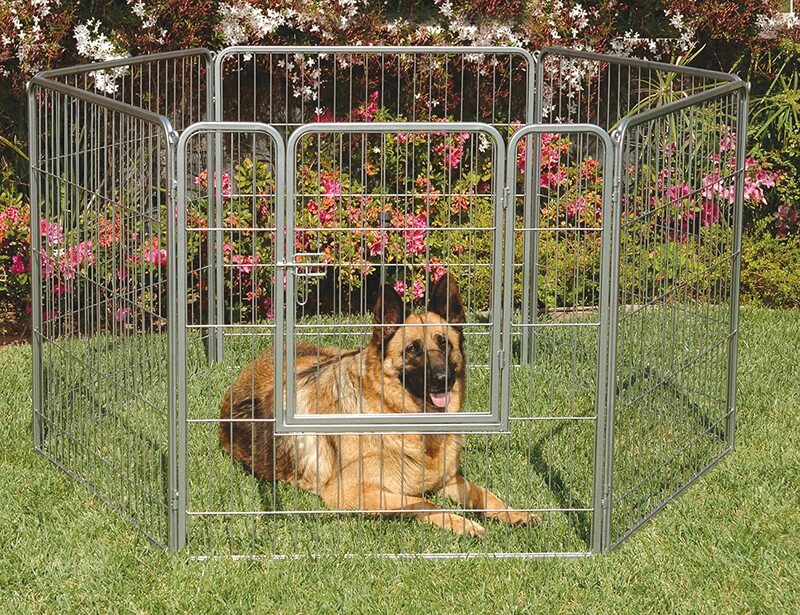 This kennel consists of 6- 38"H and 36"W panels (one panel has a built-in gate for easy access to your pet) in a beautiful silver crackle finish.